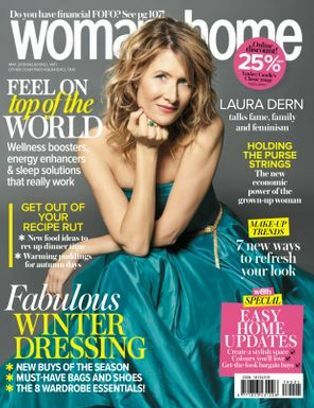 It’s Breast Cancer Awareness month, and we’re loving these fantastic fund-raising products and initiatives from some of our favourite brands. 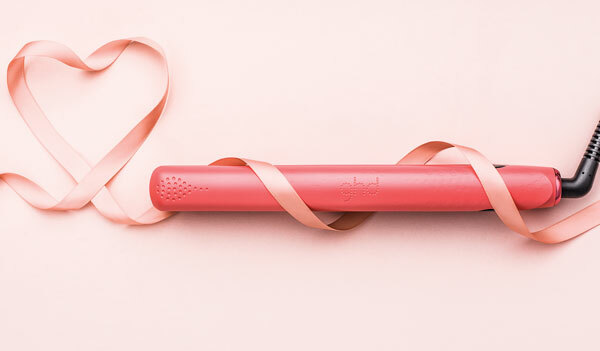 For every ghd Pink Blush electrical product sold, ghd will make a R100 donation to PinkDrive. So if you are in the market for a new tool to get your hair looking sleek and sophisticated, then look no further than this great cause. To enter is simple. Visit any Foschini store during October and make your R30 donation at the till. 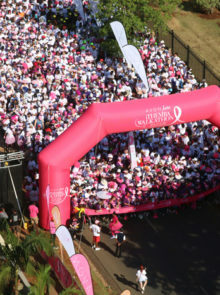 You can also SMS ThinkPink to 42336. (T&Cs apply). The competition closes on 31 October. 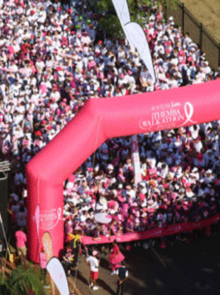 All funds raised go towards building mobile mammogram and educational units, and assist PinkDrive to continue to deliver their free screening services to people without the means to pay for expensive tests. 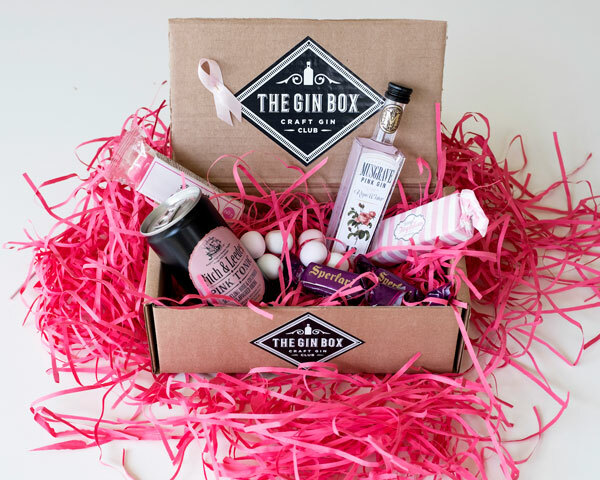 Gin lovers can do their bit by purchasing a limited edition Breast Cancer Awareness Gin Box for R250. 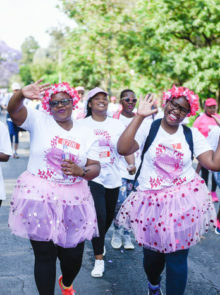 All proceeds will go to three charities offering age-appropriate support and resources for women with breast cancer to make their journey a little easier, namely The Pink Drive, Breast Health Foundation and Reach for Recovery. 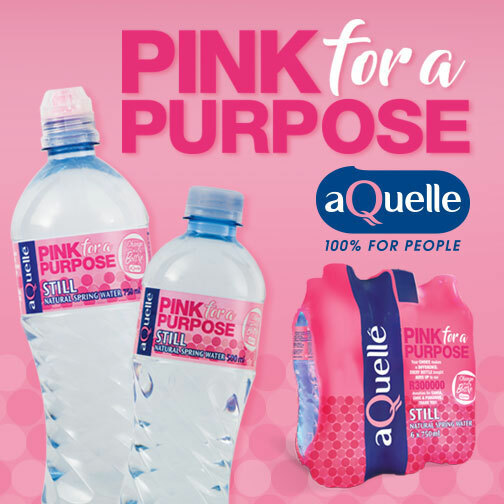 For the 3rd year, aQuelle’s 500ml and 750ml natural spring water bottles are changing from blue to pink during October to raise R300 000 for CANSA, CHOC and PinkDrive. 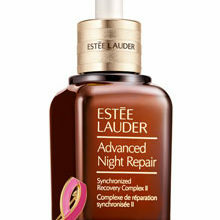 This is our way of helping organizations who help people affected by cancer. 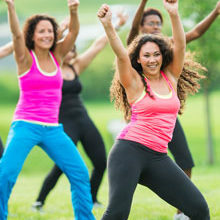 Click here to find our more about the cause.